If you are always tired and need an aromatherapy energizing lift try our Migraine Soother massage blend. Our traditional remedies can work wonders in revitalizing our tensed muscle and yet soothing to our soul. It is also one of the natural ways to soothe mental fatigue; headaches and the cooling effect of the pure essential oils are known to stimulate blood flow as well. 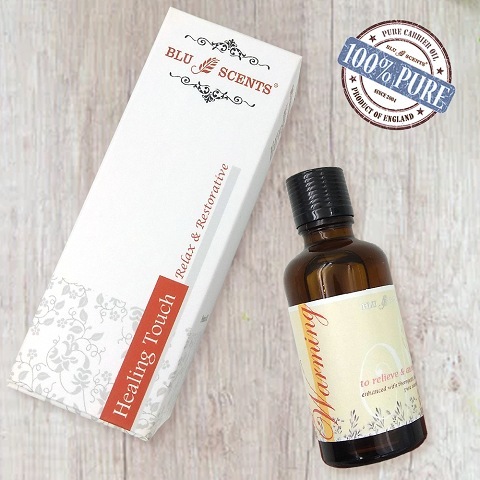 Massage will naturally relax you but this therapeutic blend of pure essential oils and cold-pressed carrier oils will help to take you to the next level - leave you refreshed and help clear your head. Experience the healing powers of our Migraine Soother massage oil today, a proven all-natural massage oil that is sure to lift your spirits and bring a smile to your face! Use it to boost your creativity or to bring some sunshine into your life too. The best time to apply is straight after a bath or shower, when the skin is soft, warm, damp and slightly swollen with water. Rub this blend in using firm, rhythmic palm strokes to create maximum heat and friction. Always warm your hands before applying oils. Rub this blend in using firm, rhythmic palm strokes to create maximum heat and friction.